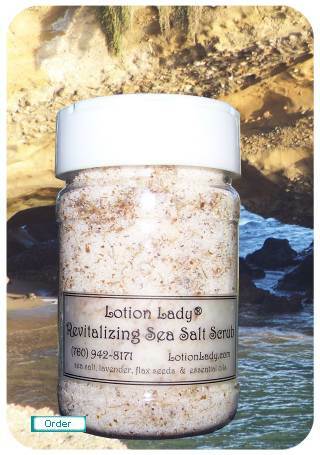 This sea salt scrub is the same as used in expensive spa treatments. Briskly massage into wet skin to remove dead surface cells and improve circulation. With this special blend of essential oils stimulate and revitalize skin. Your skin will look and feel great! Use 2-3 times a week for best results.